Challenging all those who only dust off their barbecue when the sun shines, the world’s leading barbecue manufacturer Weber (www.weber.com), in collaboration with London and Manchester-based PR agency, Mason Williams, has sought inspiration from their Scandinavian neighbours to launch a campaign encouraging the UK to ‘get hygge’ this Winter. Launching in October, the objective of ‘The Comfort of Home’ is to generate meaningful editorial coverage, which will inspire, educate and engage the media and public. 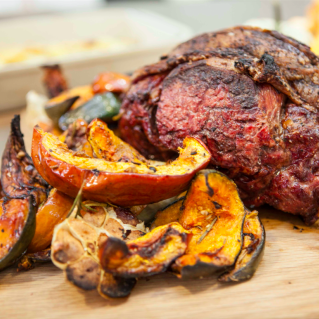 Mason Williams will focus on making seasonal occasions such as the Sunday roast and Christmas dinner an occasion to barbecue with ‘Weber Turkey Tool Kits’, winter recipe development and utilising Weber’s national network of Winter Grill Academies. Mason Williams will also be engaging the media and public with Winter feast experiences working with Weber’s team of trained chefs and interior and garden design experts. The campaign will be supported by a 360-degree advertising campaign. “The Comfort of Home” is a continuation of Weber’s Winter 2015 messaging, which aimed to convert the nation’s favourite meal – The Sunday Roast – into an occasion to barbecue. Mason Williams’s “Sunday Sessions” concept saw Weber challenge the perceptions of chefs and famous faces such as Aldo Zilli, Michela Chiappas, Tom & Henry Herbert and Celebrity Masterchef winner Phil Vickery to cook their families’ Sunday Roast on the barbecue. Mason Williams worked with Weber to create an online “Sunday Sessions” hub featuring the celebrities’ recipes, videos, interviews, Sunday recommendations and bespoke 3rd party content such as wine pairing with Denbies, National Trust recommended walks, crosswords and a #roastwiththemost national recipe competition. Mason Williams also held Winter Grill Academies at major publishing houses and replaced the traditional press pack with The Weber BBQ Bulletin, a broadsheet paper containing all the brand’s news for 2016. 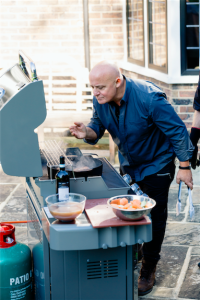 “There’s no hiding the fact that it’s a challenge getting the media to write about barbecues in the middle of Winter.” Said Rita Rowe “We have to think differently and work hard to change opinion and influence the influencers. “The Sunday Sessions was a considerable success generating over £500k of equivalent advertising value with quality features in The Daily Mail, The Daily Express, The Sun, Coach Magazine and Ideal Home plus extensive social media and broadcast features. The recipe videos alone received over 30,000 organic video views. However there’s still so much work to be done and we’re really excited to be able to develop this communication thread and get the nation barbecuing whatever the weather.